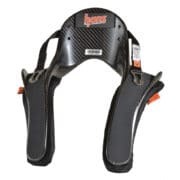 “HANS” is a compulsory safety device in Motorsport. 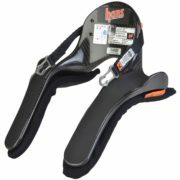 The device is proven to reduce head and/or neck injuries in the event of a serious incident on track. 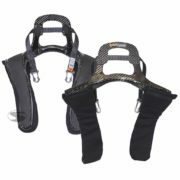 The FHR system uses the race harness to hold the device securely around your shoulders, using Tethers that attach to the helmet via clips which limit forward movement of the helmet in case of a sudden stop. 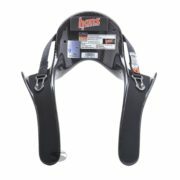 Read our HANS & FHR Buyer’s Guide for help with angles, materials & HANS choice. 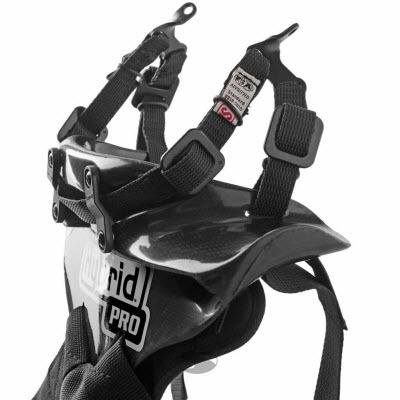 Driver61 recommends: the Simpson Hybrid Pro Lite FHR Device. 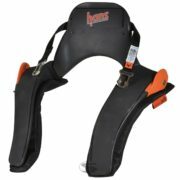 Constructed from high-quality carbon fibre, Simpson’s Hybrid Pro Lite offers a highly ergonomic, comfortable fit. Available in Women’s sizes, this item has been popular with our female customers. 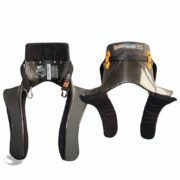 Take a look at our carefully selected range from Schroth Racing, Simpson, Hans and Stand21 or search for an item you’re looking for in the search options below.